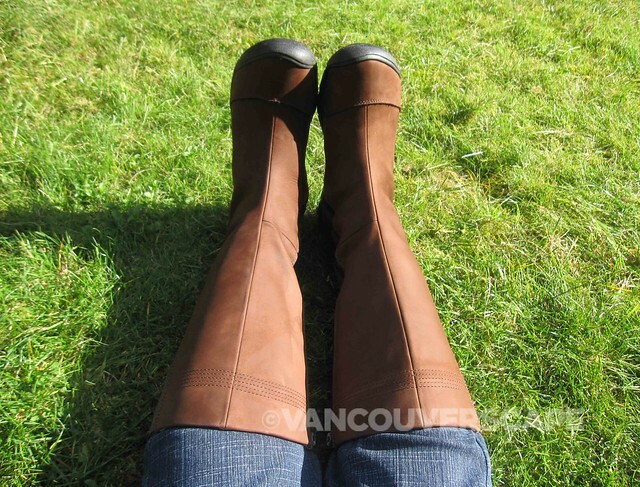 Shopping for a pair of fall-to-winter boots is a yearly ritual for many Vancouverites. There’s no shortage of styles to match our wardrobes, tastes, and budgets. Our two wettest seasons are just around the bend and with it, I thought this would make a great opportunity to check out a couple of pairs of boots perfect for casual, urban wear. First off, I’m not a heel person, so I specifically searched out boots that were walk-worthy, with great features and comfort. 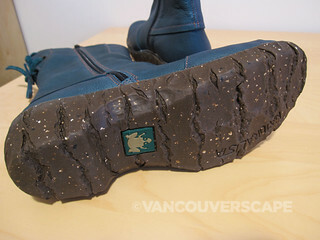 KEEN’s Delancey Boot WP CNX is a low profile, waterproof leather boot that looks great right out of the box. It has a proprietary lightweight PU midsole, allowing for greater flexibility. KEEN’s trademark flex grooves on the sole grip well through city parks and concrete, as I tested them on a couple of walks around town. Although they appear flat, there’s an inner contoured arch for support. The leather upper is nubuck, with a KEEN.DRY ™ waterproof breathable membrane. 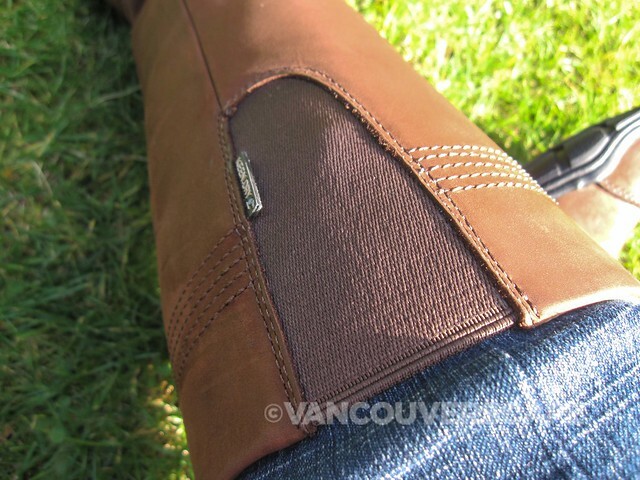 The full-length side zipper is protected against moisture and works easily. I like the lovely mocha colour (also available in black), that looks stylish either with jeans tucked in or with a skirt and tights. Since the company’s inception 10 years ago, KEEN’s partnered with global non-profit organizations to help turn ideals into actions, get youth into the outdoors, protect land for both environmental and recreational values, even give bikes to kids in need. We congratulate KEEN for actively campaigning for positive change on our planet. KEEN is known for its water-resistant shoes, and this boot is no exception. The inside is also soft and warm. The new-for-this-season Delancey Boot retails for $230 CAD and is available online. My husband and me are both El Naturalista fans, having discovered their comfy, quality shoes last year while shopping in Madrid. 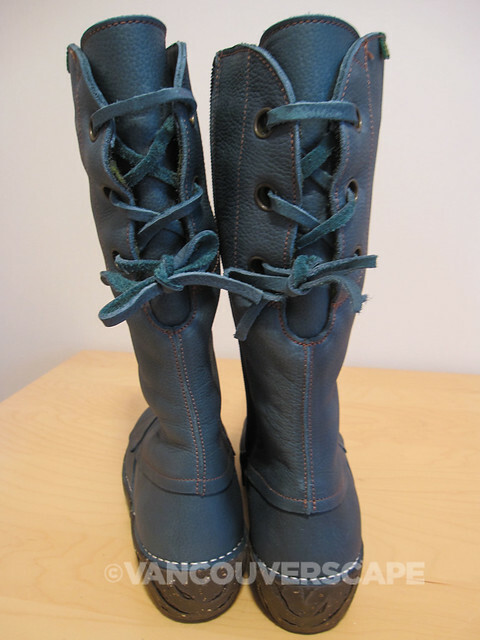 I picked out a beautiful blue Yggdrasil boot to try out around town. The mid-calf boot comes in Rioja (Deep Red), Black, Bosque (Green), Brown, Humo (Smokey Grey), Tibet (Bright Red), and Egeo (Blue). 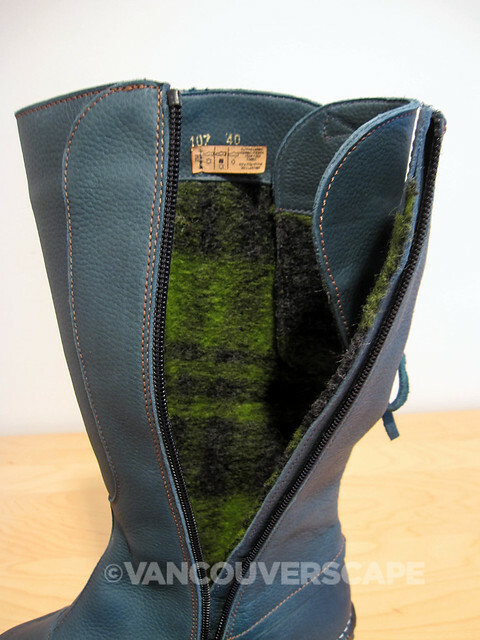 This boot has so many lovely details with a soft, warm interior. El Naturalista is dedicated to lightening its environmental footprint by producing leathers made with semi-vegetal tanning produced in Spain, treated with natural fats and oils. 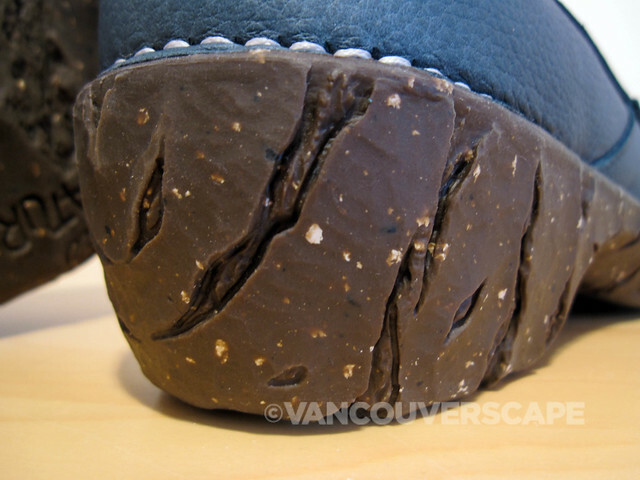 The insoles are removable, and the rubber soles are made from recycled rubber. 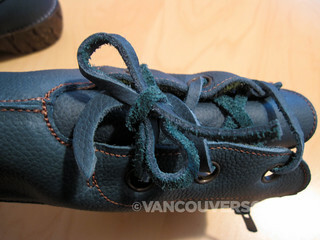 Hand-stitching is incorporated into many products. I was impressed with the warm, colourful 80% wool/20% polyester felt lining. It’s hard to take these boots off, they’re that comfortable. 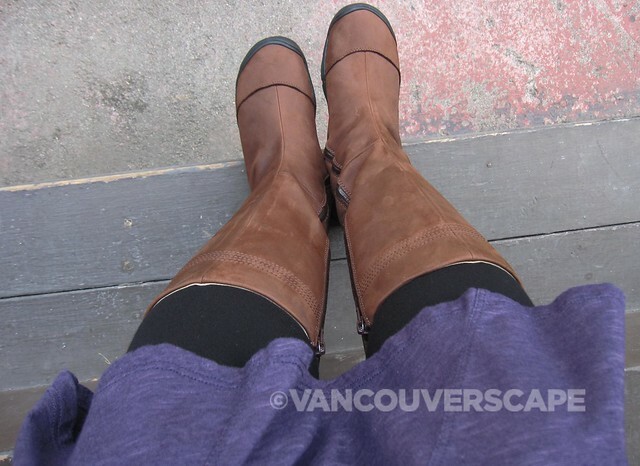 I’ve been wearing them with skirts and tights on my many urban adventures this season. El Naturalista is also a socially-responsible company that gives back 2.14% of their profits annually to various social awareness causes, with over 10,000 pairs of shoes and over 200,000 Euros donated to date. 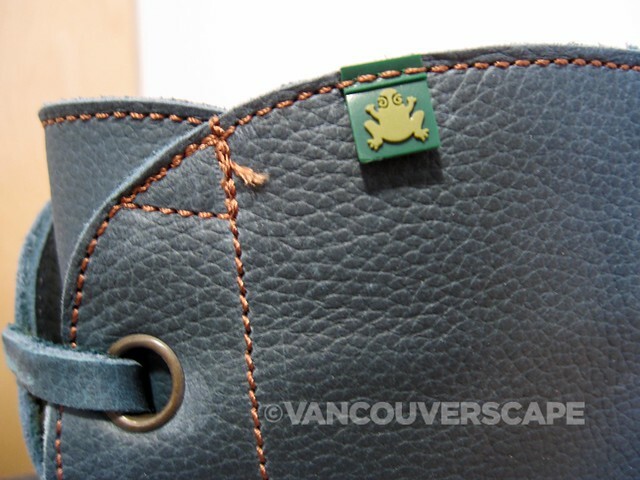 The Yggdrasil is available at Twigg + Hottie on Main as well as Footloose Shoes and Heart + Sole Shoes in Victoria and retails for $364 CAD. 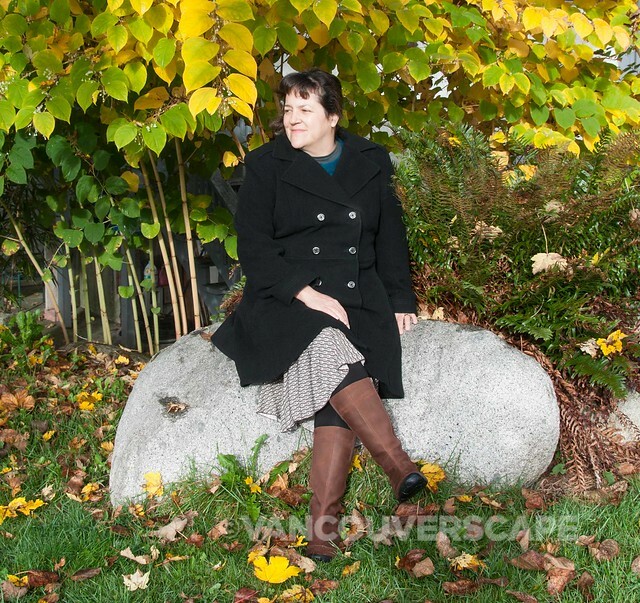 Visit El Naturalista’s website for other shoe models and online purchasing. 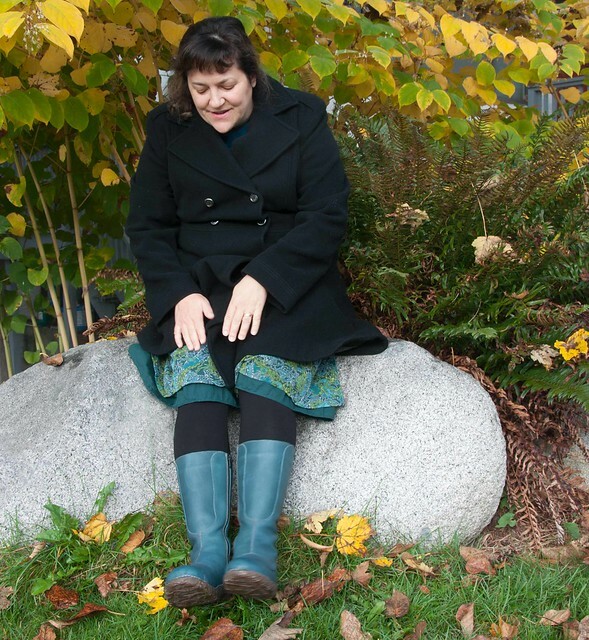 Disclaimer: I was sent both the KEEN Delancey and El Naturalista Yggdrasil boots for the purpose of test-driving and of writing this article.